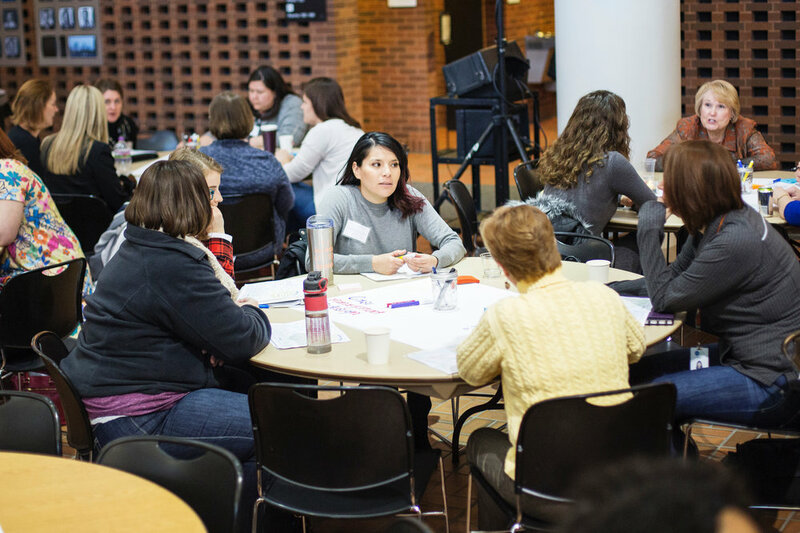 On Jan. 31 more than 250 people with diverse perspectives gathered for an engaging day to learn, connect, and explore important issues during the Case Management Redesign workshop. Your interest, commitment, and participation in this effort is appreciated. A summary document containing photos and highlights from that day is now available at http://z.umn.edu/cmredesignwksp. Thank you to all those who called topics for discussion that afternoon. You created an agenda with depth and breadth. You hosted meaningful conversations and ensured insights and next steps were documented. All your reports have been compiled into a Book of Reports available at http://z.umn.edu/cmredesignreports. May these two tangible take aways - the Summary and Book of Reports - be catalysts to continue conversations and spark action. MN DHS is continuously looking for feedback and input. Please send an email to dhs.cmredesign@state.mn.us if you wish to stay engaged in this effort. How can we provide a space for all to bring their best selves to improving case management for Minnesotans? We believe in bringing the best minds and hearts together to shape the future of case management in Minnesota. The Minnesota legislature directed the MN Department of Human Services (DHS) to redesign Medical Assistance-funded case management to increase consumer choice, specify and standardize the delivery of services, improve quality and accountability, and streamline funding arrangements. Partners and stakeholders have been working with DHS for many years to address these issues, but have not yet succeeded in laying out a unified vision and collaborative redesign plan. 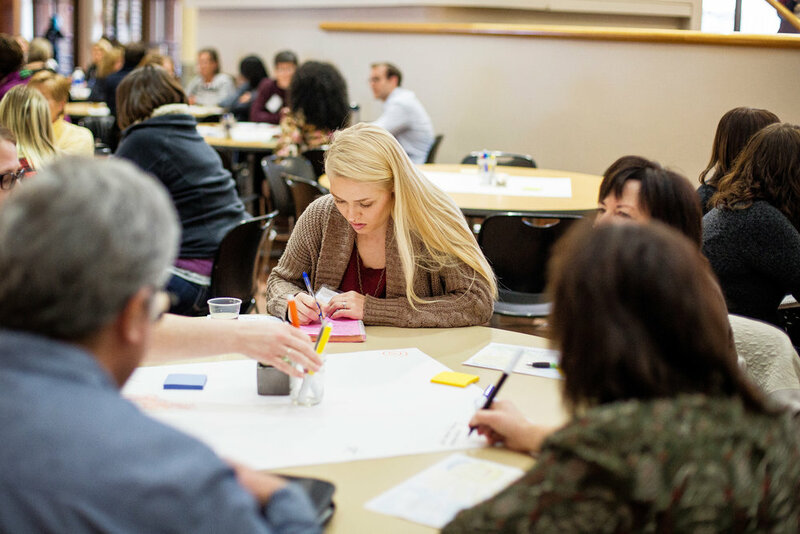 To support the development of a unified vision and collaborative redesign plan work has been done to summarize results from previous planning efforts and gather feedback from partners and stakeholders on their vision and goals for case management services. Participants will have an opportunity to review this work and provide additional feedback. As partners in the effort, FSI believes in multiple avenues for feedback and engagement in such important work. This January 31st convening will be one of the various opportunities. Come together with others who are passionate about case management to create this future together. Everyone involved in case management has a role and place in setting a course for redesigning case management. This event is focused on engaging people with lived experience. People who have or are receiving case management services, family and caregivers, people who deliver or supervise the delivery of case management services, and our county and tribal partners. This event is intended to provide a space to exchange shared knowledge to help better understand the topic, while also fostering an environment to take charge of the complex issues and forge a path forward by allowing them to identify and dive deeper into what matters most to them. Whether you are a case manager or a person receiving services, affiliated with the counties or tribes, this workshop is designed for you! This full day event will begin with gathering over morning refreshments followed by welcoming remarks from a guest speaker and a panel discussion featuring individuals with lived experience of case management. The rest of the morning will be a time for you to connect with other attendees through small group conversations to share your stories, ideas, and questions related to case management. Lunch will be provided for you. In the afternoon, all attendees will self-organize around topics of conversation they care about and conversations they can contribute to and learn more about. Individuals may call topics of conversations and/or participate in conversations that are called by other attendees and move between those conversations throughout the afternoon. We'll close the afternoon by reflecting on our experience that day and sharing next steps. Click on image to open/download. The Humphrey School of Public Affairs, located on the south side of Minneapolis, was named to honor former Vice President Hubert Humphrey for his contributions to improving the well-being of humanity. Located at 301 19th Avenue South, it is conveniently located on the West Bank of the University of Minnesota's Minneapolis campus, bordered by 19th Avenue South and Washington Avenue. Looking for a place to park? Interested in taking the light rail around? Click here for more information! Please send disability-related accommodations or dietary requests to Kamaria Woyee, kpwoyee@umn.edu, by January 16.